At the practice of Clifton & Mauney, our top priority is to provide our patients with exceptional pediatric dental and orthodontic care. We work hard to create an environment that is caring, nurturing, respectful and always strive to provide the best quality services in a timely and efficient manner. Many people who have considered improving their smiles or the smiles of their children wonder when the right time is to see an orthodontist. This is a commonly asked question that has several answers. Generally speaking, you should schedule an orthodontic appointment whenever you have a question about how your teeth are aligned or when you are concerned with the quality of your bite. Sometimes, such a problem is very obvious. For example, you may have crowded, misplaced, misaligned or protruding teeth or you may find it difficult to chew or speak properly. In such a case, it is definitely time to schedule an appointment with our Chapel Hill orthodontists so you can have your problem diagnosed and treated. In addition to these general guidelines, there are some very specific recommendations regarding when children should be seen by an orthodontist. Our practice agrees with the recommendation made by the American Association of Orthodontists (AAO), which states all children should receive their first orthodontic evaluation by the age of 7. By the time a child reaches this age, the bite is established so that an orthodontist can determine whether or not there will be sufficient room in the mouth to accommodate the permanent teeth. This is also when an orthodontist can spot potential problems early and treat those problems if necessary to make treatment less involved later in life and less expensive as well. When orthodontic problems are detected when a child is young, it is much easier to treat these problems because the child is still growing. For example, if a child is diagnosed with a cross bite (where the upper teeth close inside the lower teeth), a palatal expander can be used to correct this problem. If this problem were to go untreated, the child could require oral surgery later in life. 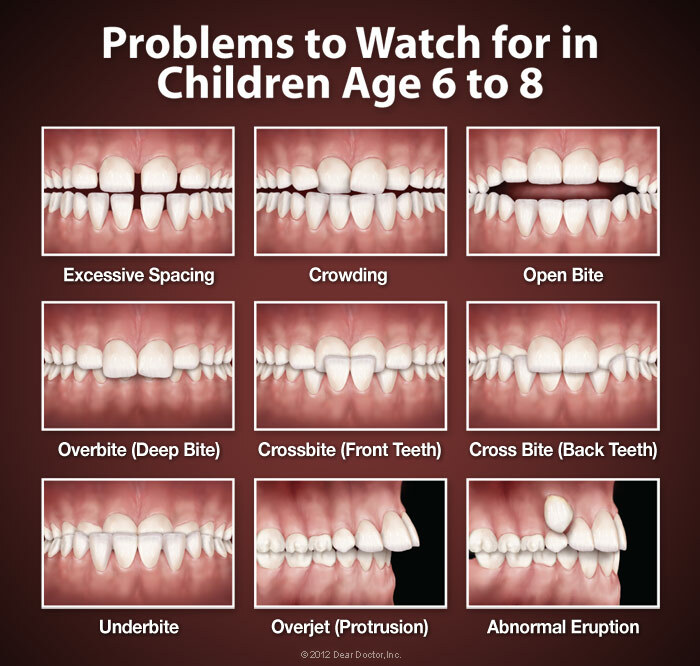 If your child has any of these problems or habits, we encourage you to schedule an appointment with our office so we can provide your child with an examination. It is important to note that just because your child is being seen by an orthodontist now, it doesn't necessarily mean he or she will need to begin treatment right away. 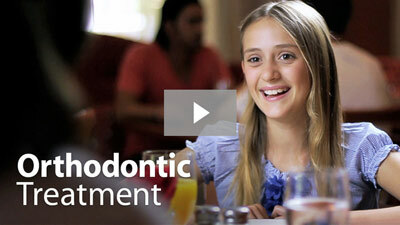 In fact, most children do not begin active orthodontic treatment until they are between the ages of 9 and 14. Now that you know when to bring your child in for an orthodontic evaluation, it's time to learn when you should be seen by an orthodontist. Are you self-conscious about your smile because your teeth are out of alignment? Do you routinely cover your mouth when around other people to hide your smile? If so, this is a great time for you to take the first step toward improving your smile by giving our office a call! Our Chapel Hill orthodontists will provide you with a thorough exam followed by a discussion of your potential treatment options, which could be anything from conventional metal braces to clear removable aligners. While some people believe that orthodontic treatment is something that's just for children and teenagers, the truth is that teeth can be successfully moved at any age. Nowadays, it is common for adults to be in orthodontic treatment. 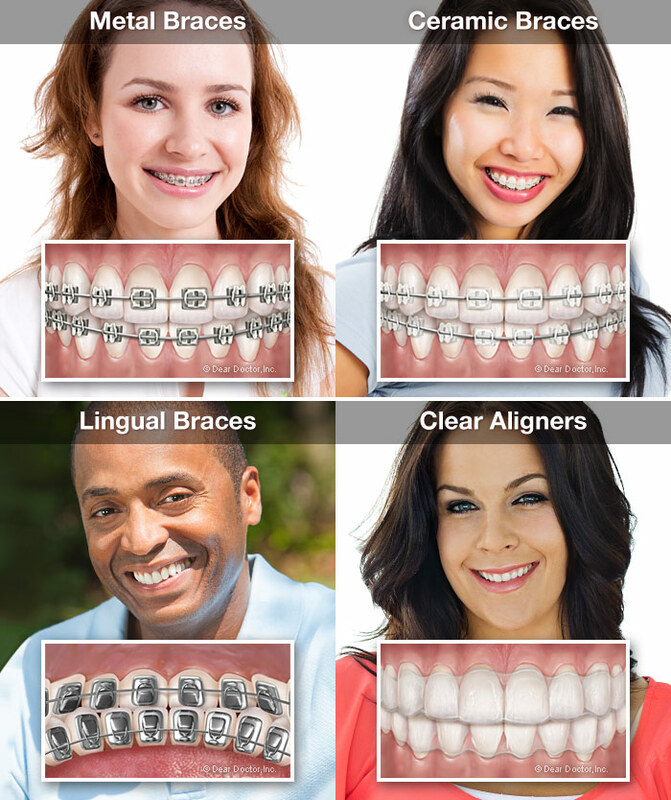 There are many treatment options, which are perfect for adults who don't want to wear visible metal braces including translucent ceramic braces, and Invisalign clear aligners. Adult orthodontic treatment is about much more than must improving your looks. When your teeth are properly aligned, they are easier to clean for better oral hygiene and dental health. A proper bite can also help you chew food more efficiently and speak clearly. If you're ready to schedule your first visit with us, please complete the Appointment Request form. One of our friendly team members will then contact you to set up your appointment time. We look forward to seeing you soon and helping you achieve that amazing smile you both need and deserve!